The most direct way to search for theses and dissertations in space science in our catalog collection is through the library catalog. 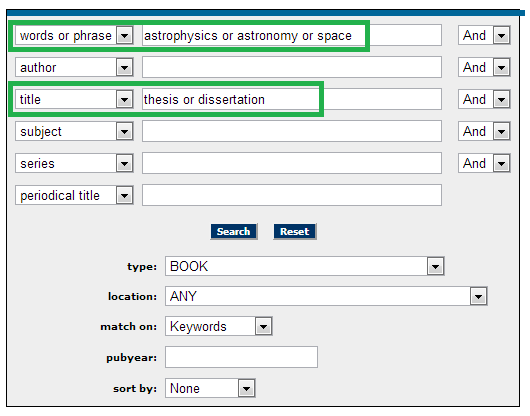 A sample search is pictured below, with the Words or Phrases field set to "astrophysics or astronomy or space" and the Title field set to "thesis or dissertation". We use those words in the title to help them show up in searches. There are alternatives. One is to search Proquest's Dissertations and Theses database (note: shows UAH only). 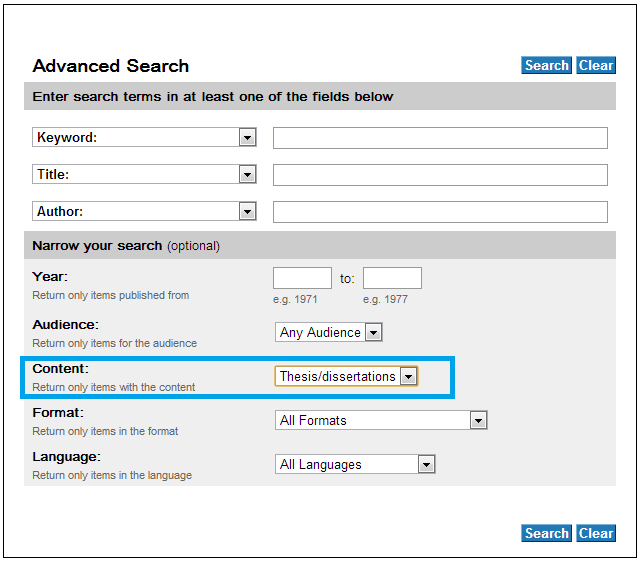 If you want to search for dissertations and theses from beyond UAH, you can use Worldcat's Advanced Search and set the Content field to "Thesis/Dissertations".